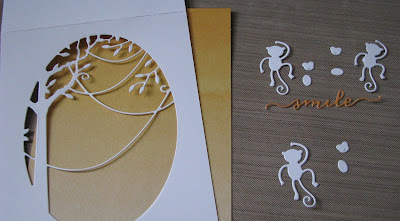 Dies R Us: Playful Monkeys! Hello DiesRUs Friends! Vickie Y here to share a happy, fun-loving card for any age! My card is a top-fold card that I used the Poppy Stamps Jungle Vine Oval die to create the opening. 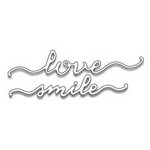 I then die cut three monkeys from the Poppy Stamps Happy Monkey die, and die cut the word smile from the Penny Black Heartfelt die set. Here's a tip when die cutting a figure that needs to be pieced together - die cut from white cardstock and then color using your markers, pencils, etc., before piecing together. I colored the tree and vines using alcohol makers and then placed a solid color of designer paper behind the die cut card front. 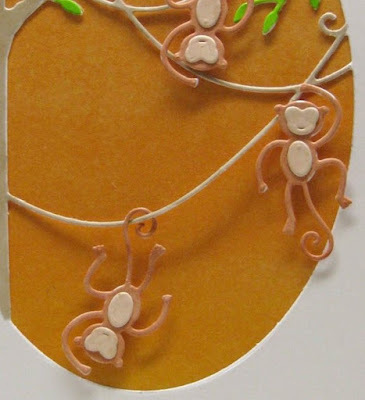 Here's a close-up of these playful monkeys! To complete my card I placed the die cut smile in the lower right corner of the card as shown in the completed card at the top. OMG what a cute creation Vickie! 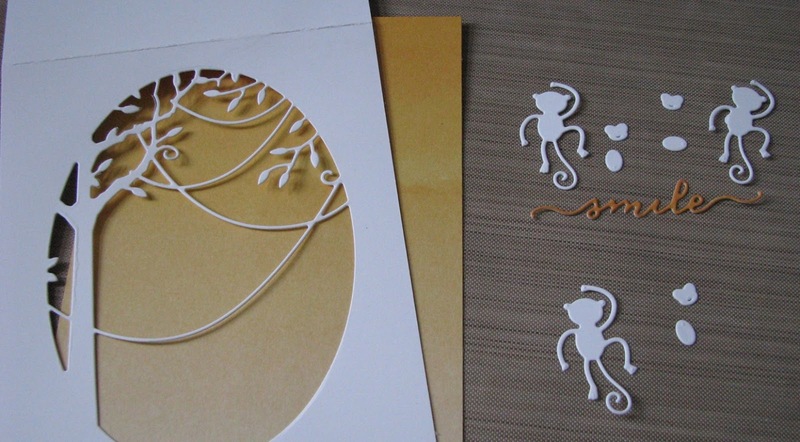 Love those fun monkeys and your design is fabulous. Great use of dies and awesome inspiration ... thanks for the smile this morning! Vickie, this is so adorable! Your smile sentiment is perfect with this monkey scene. It made me smile immediately. what an adorable card! so cute! Those monkeys look just like the ones in the Barrel Full of Monkeys game. This is too cute! Such a cute and fun scene you created. Love those cute little monkeys!